Detroit, a city in economic decline, has found its biggest ally for a better future in a place more than 4000 miles away – in Berlin, Germany. In Germany’s capital, Dimitri Hegemann (64) is a well-known dreamer who materializes ideas that cannot be big enough. Since the fall of the Berlin Wall in 1989, Hegemann has been transforming industrial ruins into cultural spaces. His masterpiece is the world-famous techno club Tresor, located in the heart of the formerly divided city. Hegemann brought the finest electronic music artists from Detroit to post-Cold-War Berlin – a city that needed almost three decades to overcome the scar of its 28-year division. For years now, Hegemann has been trying to pay Detroit back for what its electronic music scene has done for Berlin. Since the decline of the US auto industry, once iconic factories like Packard Automotive Plant have become symbols of decline. But Dimitri Hegemann has steadily been inspiring more and more people between Lake St. Clare and Lake Erie with his dream of a prosperous city – of Detroit beyond the auto industry, based on the transformation of industrial spaces into cultural cathedrals. The board of the Detroit-Berlin-Connection meets regularly in Detroit to continue working towards this vision. Frank Hofmann: Dimitri Hegemann is walking up the concrete steps of his music venue Kraftwerk, “power plant”, in the center of Berlin. The building used to hold turbines for the central East Berlin power plant next to the Wall, but it was no longer needed when the industrial complex was refurbished at the end of the 1990s. Dimitri Hegemann: In Berlin, we invest 800 Million Euros per year into culture and, you know, it works: People come and enjoy it, you know! Frank Hofmann: Transforming old buildings into new cultural venues without changing much of the initial architecture, turned Hegemann into Germany’s most famous club owner, at least when it comes to electronic music. Or more precisely: Techno music. Even more famous is the name of his music club, “Tresor”, which is housed in the building where we meet. Frank Hofmann: Dimitri Hegemann turned 64 last year, and now sports a head of completely white hair. His club Tresor opened its doors shortly after the fall of the Berlin wall and became widely known as the world’s center of the Berlin Techno revolution, a revolution that shaped Germany’s capital during the 1990s. Dimitri Hegemann: It was a historical moment. It was the Fall of the Wall, you know, and before in ‘88 in ’87, I was already, I did run a small record label and I was in touch with some artists. Frank Hofmann: That was when Dimitri Hegemann made his early friends in the US music scene. First in Chicago and then in a city that may soon be sending their tunes across the the Atlantic Ocean all the way to the famous symbol of freedom when the iron curtain fell: The reunified city of Berlin. Dimitri Hegemann: By chance, I got in touch with a project from Detroit. And one of the members in this project was Jeff Mills. So, I was already involved in music and I did know how to make a record. And when the wall came down, we never found the venue for this music. It was so fresh. So, then we decided coming from a label side, record label, to do more on stage. So, we opened our own club, you know, and we had this situation that there was after the fall of the wall, huge euphoria in the city and there was no curfew. Since ’49, Berlin has no curfew. Then there was this incredible venue we found called “the Tresor”. It was an old vault, you know, located in the heart of Berlin between the infamous wall, between two infamous walls. And then there was this new sound. Frank Hofmann: Techno music became the soundtrack of the freshly re-united city of Berlin. Frank Hofmann: Sonic Destroyer is the name of this very first track of Dimitri Hegemann’s Tresor Record label. For Techno fans, this track marks the heroic start of Berlin’s transformation into the world’s leading techno metropolis. Frank Hofmann: The track was produced by the same friends from Detroit that Dimitri Hegemann met just as the 80s became the 90s: Jeff Mills and Mike Banks. Dimitri Hegemann: I asked Mike, “Man, you know, kids from the East and the West, you know, they are so happy that the Wall is open now. The reunification takes place but we need your music.” You know, that's what I said. So, he said, “Ok, we really right there.” And they came over, you know, and both parties from the East part of Berlin and West Berlin did like it, you know. And so, they started dancing through the night with this soundtrack. Techno became the soundtrack of the unification, and I must say, it came from Detroit. Frank Hofmann: During the second half of the 1990s, Berlin was the black sheep of European capitals – the former socialist Eastern part seemed to have been painted grey behind the iron curtain, already suffering huge economic problems before the fall of the wall. And West Berlin lost enormous amounts of yearly subventions from West Germany that kept the walled-in city alive. Then electronic music kicked in and started an economic healing process. With new clubs and record labels, artists began using run-down empty buildings, many of them in the heart of the city, right next to the former Berlin Wall. One generation later, Berlin is no longer defining its life based only on a certain music style. The German capital became the leading cultural spot of all of Germany, and the economy soon followed. Now, Dimitri Hegemann has a new dream: Looking at the success story of Berlin today, he would like to give something back to where the music once came from: Detroit, Motown, the Motor City. Dimitri Hegemann: The best thing is, if you compare cities, like, let's do it with Berlin and Detroit. And when we set up the question, what do we have and what Detroit doesn’t have or what we do not have here in Berlin. And one thing we have in Berlin is, we have no curfew. We have 24 hours open and the crime rate is down, really down here. And this nighttime economy, you know, has inspired many, many young startups to move here to do something. And new ideas or new business ideas, you can find in galleries and cafés and in restaurants, you know, you can find it in different sport events. Everything happens in the night, in the nighttime. And I tell you, this is a huge attraction for many people living in Europe. Frank Hofmann: More than five years ago, Hegemann, founded an association, together with his Detroit friends, to bring his idea to Motown and promote Detroit: They brought DJs, bar owners and journalists together and started their own association, called the Detroit Berlin Connection. Dimitri Hegemann: Why don’t they have similar working conditions? Because there is a lot of space and Detroit, for me, is the mecca of the music of America. It’s not just the Detroit techno thing. It’s also Hip Hop and Bebop and Motown and Iggy Pop. Frank Hofmann: Detroit, Hegemann says, should develop a night-time economy like Berlin. The first step to doing that, however, is a lobbying point that is key to their association [fading bar noises in background]. Detroit must lift its curfew that forces Bars and Clubs to close by 2 a.m.
Frank Hofmann: I’m flying over the big pond to meet Dimitri Hegemann’s friends in Detroit. Friend 1: How are you doing? Friend 2: Good, how are you? Friend 1: Good to see you! Frank Hofmann: One of them is Walter Wasacz, originally a music journalist, who has been following the music scene in Detroit for several decades. He is now a board member of the Detroit Berlin Connection. He invites me to a tour of Detroit. Walter Wasacz: I’m gonna drive, you can integrate this in the interview if you like. But we’re driving now to the north end of Detroit. Frank Hofmann: After a while, we stop at Detroit’s largest historic Auto factory, the abandoned Packard plant. Here, Walter Wasacz is explaining how Dimitri Hegemann’s dream of the Detroit Berlin connection evolved. Walter Wasacz: What Dimitri has done here is, he came with a vision. He didn't come with money, which is unusual for American development strategies. When he first met with the mayor of Detroit's office, I was in the meeting with him. Then he came, he said his introduction: “I'm from Berlin, I have no money in my pocket. I bring no money.” And the people in the room from the city were like, “What is this guy?”. You know, what is, what is this guy doing, was talking about he has no money. Frank Hofmann: And the once famous Packard Plant, which ceased its operations by 1958, is part of this poetic narrative. The idea is to transform at least a small part of this huge industrial complex into a Techno club and artist spot. This would mean transforming the symbol of the decline of US Auto production into something prosperous again. From the Packard Plant, we move toward the inner city of Detroit, passing through the formerly wealthy Boston Edison neighborhood – the neighborhood where Aretha Franklin used to live before she died last year. Many of the once luxurious villas are abandoned, and trees and bushes have found their permanent home, developing with no boundaries. Here, Detroit is but a shadow of its wealthy history. Walter Wasacz: Twenty years ago, it began to get very shabby. People were moving out. Some of the houses were bought for very much very little comparatively speaking to other big cities in the US. You could buy one of these huge houses for, just throwing out a number, about a hundred thousand dollars or something like that. Let's say, in 2000 only $100,000. Frank Hofmann: While the Auto industry had started to decline much earlier, Detroit had continued to develop more music and culture into the 90s, says Walter Wasacz, as we continue our drive into a wide avenue with two-story buildings on both sides of the street. Walter Wasacz: It is still regarded, people still think this is the original techno boulevard. Gratiot, near Russel and Eastern Market. Frank Hofmann: Why is it called techno boulevard? Walter Wasacz: Because the artists who were part of the first really first generation of techno artists had studios here: Derek May, Transmat label based in Eastern Market on Gratiot and there were some German techno people, Mark Ernestus and others from Basic Channel who purchased a building here and could not develop it. Frank Hofmann: Less than five minutes away, Walter Wasacz stops his car close to a nondescript two-story building. The unassuming house is nothing less than the headquarters of Detroit’s Techno stars who made their way overseas to Berlin in its roaring 90s. Now, it houses Detroit’s private techno museum and the production studio of Mike Banks and Jeff Mills – the two producers of the very first track of the Tresor Record label. Frank Hofmann: Walter Wasacz is walking upstairs to meet Angie Linder and Cornelius Harris, who is Mike Banks’ manager. They’re convening the board of the German American Detroit Berlin Connection. Frank Hofmann: The most important part of their discussion today: The next steps to convince Detroit’s City Hall to cancel the curfew in the city. I’m sitting with Angie Linder, head of the board, downstairs after the meeting. We wait on a small sofa facing the street window of Mike Bank’s Techno museum. Angie is a young mother and is married to a Techno DJ. Angie Linder: Detroit exports most of their DJs and artists to cities like Berlin that have an economy that can you know, they can get paid, they can take care of their families by doing some shows you know over there they have the money that can afford them to do that. They want to do that on their home turf they want to be here for their kids on the weekend they want to you know spend time with their family. But there's some people that are just traveling nonstop. Frank Hofmann: Angie Linder wants to see this change. She hopes that Detroit, like Berlin, is ready to develop a night-time economy on the basis of its music artists, including the many techno DJs. But it still seems, there’s a long way to go. Angie Linder: They can't go and make a living off of what they're doing and what their passion is in the city that created them, created the music they love, influence them, because there's just not the economic support due to limited operating hours in venues. You can go to some of the smallest bars around the city and you'll find world class talent playing to two people. Frank Hofmann: Why is that? Angie Linder: There is a lot [sighs]. Why is it? Let me think, how to explain it. Frank Hofmann: Suddenly, interrupting our interview, Mike Banks shows up. Angie Linder: Hi Mike. [Responding to Mike Banks and company] Good, how are you guys? [Indistinct voices] Yeah, it's ok. Sorry. Yeah, I wasn't sure which button to push, I'll turn it off when we leave. Thank you. Frank Hofmann: [to Mike Banks] Why don’t you stay and give me an interview afterwards? Frank Hofmann: The famous techno DJ can’t stay, but his manager, Cornelius Harris, who’s also a board member of Dimitri Hegemann’s Detroit Berlin Connection, does. He’s convinced that developing Detroit’s night-time economy is primarily a political issue. Cornelius Harris: So, the auto industry was really kind of flailing around, trying to find its footing in the face of competition from other countries. Culturally, Detroit was going out and influencing people all over the world. That's significant. And you know, we like to talk now about soft power and cultural capital. And Detroit's got a lot of it, but I just think that the city administration is not completely aware of how much it's got. Cornelius Harris: I think, because they've never really thought about cultural capital. I think that the Detroit Berlin Organization is really important because that’s kind of the mission of that group. The great thing is that Dimitri was one of the very few people who actually took it upon himself to say, “Yeah, what can I do in Detroit? And how can I inspire something in Detroit?” And so, that became the seed where this Detroit Berlin organization grew out of. Frank Hofmann: For the past five years, the Detroit Berlin Connection has been organizing theater performances, discussions and music events in Detroit and Berlin. As an important result, Detroit’s City Hall announced Adrian Tonon to be the night-time economy ambassador to the mayor of Detroit, and he’s taken part in many events of the Detroit Berlin Connection. The association has been able to show him how Berlin became a prosperous city again out of the debris of the wall, but he’s much less euphoric about Detroit. Adrian Tonon: You can't really compare. You have in Berlin, you have what is it, three million people that live in Berlin? Adrian Tonon: Almost four. We have 607,000/700,000 that live here. You know, we're doing a new census, I think, it's going to it's going to rise, but it's just, we don't have Europe just an hour and a half away. That would come from Europe on a plane and come to Berlin over the weekend. We don’t have four million people. So, we are a little bit more grassroots here and we’re, you know, it’s more organic what’s happening. There’s a lot of electricity here, a lot of innovation. Detroiters, if you go all over the world, and Detroiters plan it all over the world. They are some of the best that was in industry. So, we create something here that is truly special, but we’re in a business, especially in the government to retaining and attracting more residence, visitors. People that come here and enjoy Detroit. I think, that’s our focus right now, is really the attraction piece, to attract people to come here but always Detroiters first. Frank Hofmann: This reluctant attitude is exactly what Dimitri Hegemann and his friends at the Detroit Berlin Connection are trying to change – all for the benefit of Detroit. Back in Berlin, he seems to be more determined than ever about his dream to give something back to Detroit. Dimitri Hegemann: I saw the Detroiters. What a lovely people, you know, they really full of energy. They love the city and they really want to do the best and they have something great. You know, they have this potential, this music. And I think this is, beside the car industry, one of the best assets I have, and they should use it. Frank Hofmann: This 64-year-old Berlin techno and music entrepreneur, who founded Berlin’s world-famous Techno club, Tresor, after the fall of the wall, doesn’t want to stop believing in a prosperous Detroit beyond the Auto – a Detroit without curfew and with a growing night-time economy. Dimitri Hegemann has good reason to hold onto his beliefs and to continue his efforts for Detroit – from a simple first track on his label Tresor records three decades ago, he’s now become a wealthy man in a wealthier city of Berlin. 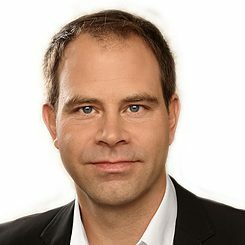 Frank Hofmann is a Berlin-based roving Senior Correspondent for Deutsche Welle (DW.com/TV, Radio, Online) and author focused on transatlantic relations, European integration, eastern Europe, and the Balkans. He moved to Berlin following the fall of the Berlin Wall and has spent most of his subsequent career investigating post-Cold War issues. This episode was made possible by the RIAS Berlin Commission, a German-American journalist exchange. His non-field education has included history and international relations at the Sorbonne in Paris and Humboldt University in Berlin.